The Divorced Diva is a figure to celebrate in a full scale Party! Let the Party rage with fun Games and dancing. 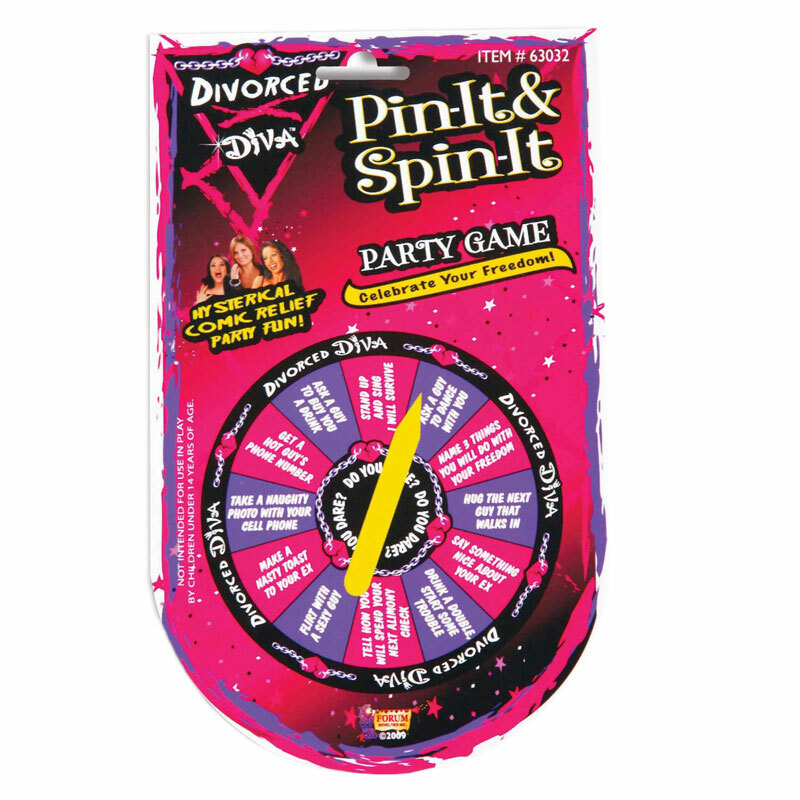 This Spin It and Pin It Game is just right for everyone. It has a bunch of fun ideas and tasks on a circular Spinner so take a turn and who knows where you'll end up in a few hours. Perhaps, you'll end up on the alter again.